Our members have mentioned that they want us to be more visible. A chat at the AGM each year isn’t enough to get to know us properly. So this is the first, in what will be a monthly update, with views on how we are going from members of of the AVST Executive Board. First up, me, Stuart Griffin. The best way I can describe the season so far is “alright”. We are in the play off places but still a bit behind where we want to be on automatic promotion. We have played well in some games and there have been the odd bits of dross to contend with as well. For me, it is us in microcosm since Steve Bruce took charge. Acceptable but not inspiring. Our membership were split after our poor start to the season. Do we change manager yet again, but take a long term view on getting back up and defining manner of playing, or is it promotion or bust and worry about the pretty things of watching a game later on? Neither were unfair views to hold. Since then, our form has improved and we are fighting it out at the right end of the table. Regardless of your view on how we should play the game, ultimately, all any of us want is to win. Ideally, knocking a few goals in in the process. We play Ipswich today and there is no reason why it shouldn’t be three wins in a row. Where I have been frustrated at times is in our safety first displays. You need the wins but you won’t get them with a very deep midfield and an isolated striker. And, for that reason, the ball sticking to Keinan Davis, has invigorated our season. 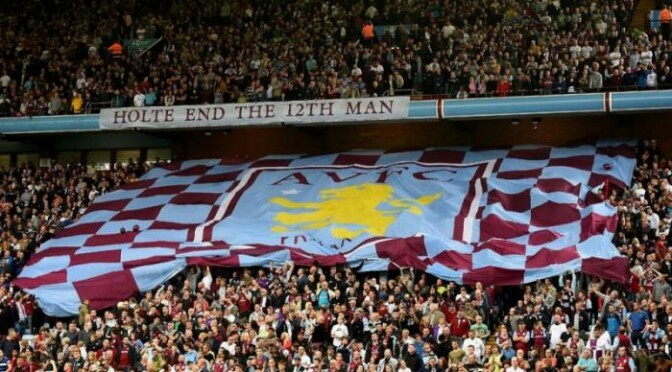 And, like all Villa fans, I love to see talented young players come through the Academy. There is still a long way to go and we have been hit hard by injuries. But with a squad of such value and quality we should be far better placed to handle the long winter months than our rivals. I want teams arriving at Villa Park, looking at the majestic surroundings, wondering how few they can concede. I want us to act up to the size we are and use that to our advantage. And, if we do, there is no reason we cannot go up automatically. I want “alright” to become “good”. And “good” to become “Excellent”. Over to you, Steve.